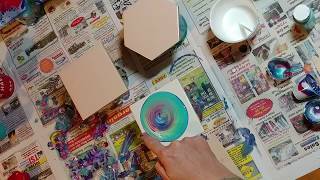 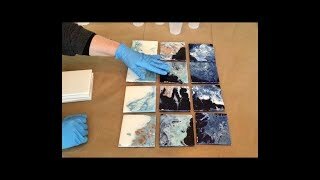 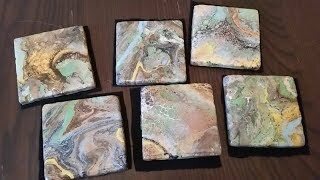 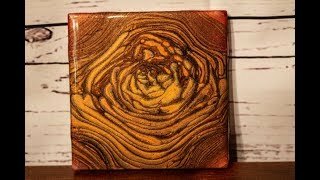 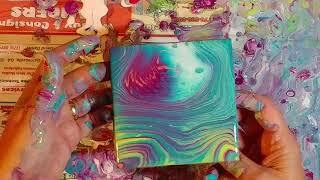 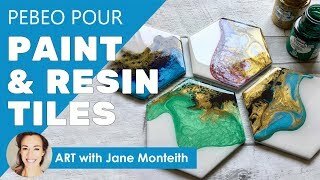 Fluid Fridays Ceramic Tile Coaster Acrylic Pour Painting ! 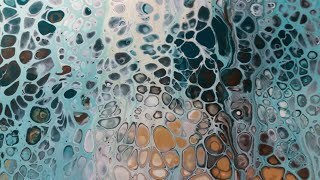 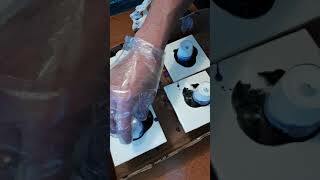 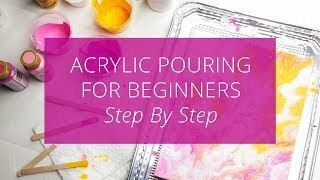 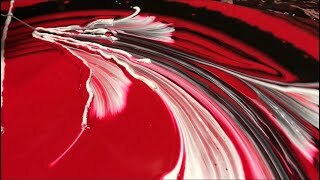 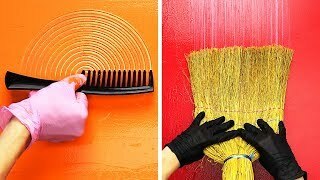 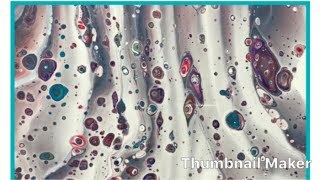 Fluid Painting Acrylic STRING SWIPE? 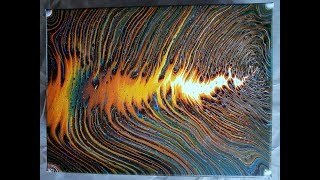 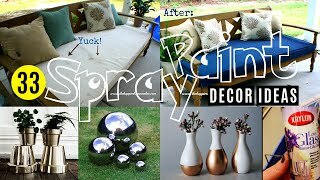 Wigglz Art Amazing Results Please Share! 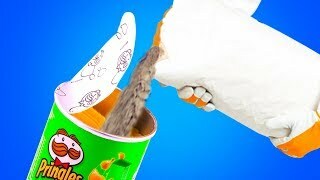 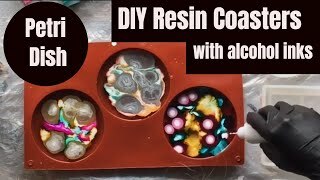 Recipe in description. 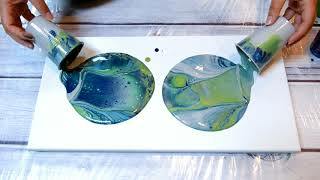 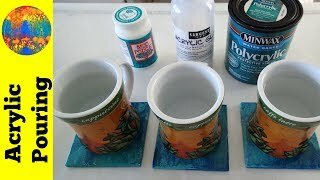 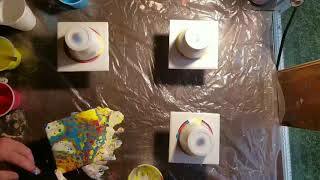 (50) Grey, Metallic Green & Deep Blue Acrylic Pour Dirty Cup Flip!